Kanye West is back, at least on Twitter. West made his triumphant return to Twitter last Friday after an almost year-long hiatus. His return was marked by eager anticipation of a new project, which the enigmatic rapper-turned-clothing designer has rewarded. West tweeted on Thursday that he’s got two albums coming soon: his own album, which will be released June 1, and another album on June 8 created with fellow rapper Kid Cudi and other artists. While West’s album is the biggest news from his re-emergence on Twitter, his other tweets have focused on philosophical thoughts — most of which are retweeted by Twitter CEO Jack Dorsey. In what he says is his “book” being written in “real time,” West tweets out words of advice and positivity. His tweets have touched on everything from the controversy he stokes and the ownership of ideas to the nature of time and healthy internet habits. And, of course, he's got something to say about the creative process interspersed with teases of his fashion projects. "You have to protect your ability to create at all cost," he recently tweeted. West did not respond to a request for comment. Fellow rapper Lamont Hawkins, better known as U-God of the Wu-Tang Clan, said that Kanye is an artist, therefore it’s far-fetched to believe anyone can predict his next move, but that the continuous streamline of thought is a great way for Kanye to get inspiration. Despite West’s scattered and unpredictable tweets, philosophy expert Julius Bailey — who literally helped write the book on West’s cultural impact — said there is a method to his madness. West’s philosophy draws off the backs of a long line of existentialists, such as Friedrich Nietzsche and Jean-Jacques Rousseau, whose ideology focuses on creating meaning for oneself and identifying their purpose as an individual, a staple of Kanye’s music. 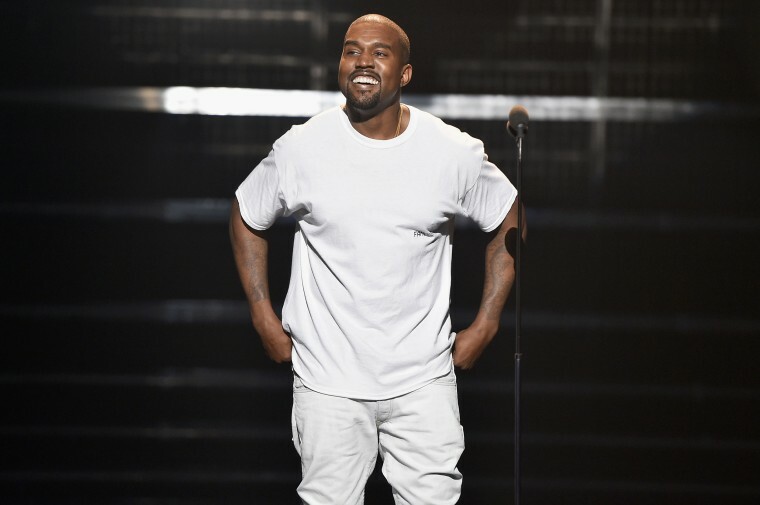 West hasn't released an album since "The Life of Pablo," his seventh studio album that came out in February 2016. In May 2017, he appeared to deactivate his Instagram and Twitter accounts. Before his return to Twitter, West had been flying under the radar with rumors of a new album circulating in the music industry. Rap and philosophy goes hand-in-hand, Bailey said, and West is one of the many hip-hop artists to focus “on the now” in the way of existentialism. when you first wake up don't hop right on the phone or the internet or even speak to anyone for even up to an hour if possible. Just be still and enjoy your own imagination. It's better than any movie. With new music on the way and a family of five, U-God said West’s return — and his philosophical persona — can be signs of “a changed man” who took time to recharge and is back to share the growth with his fans. As West is fond of saying, Yeezy season approaching.